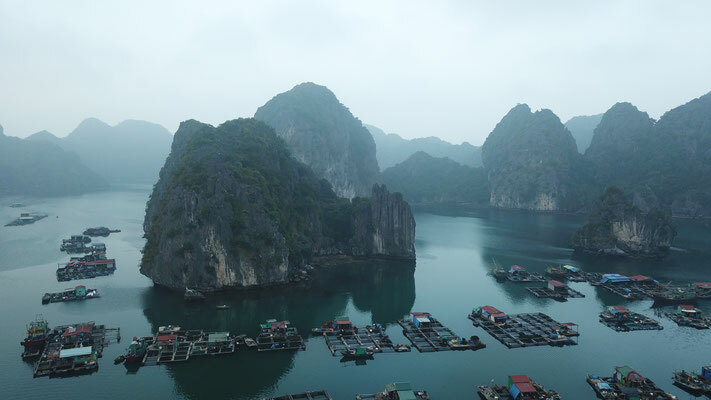 How to get from Hanoi to Cat Ba (Catba) Island with your bike? 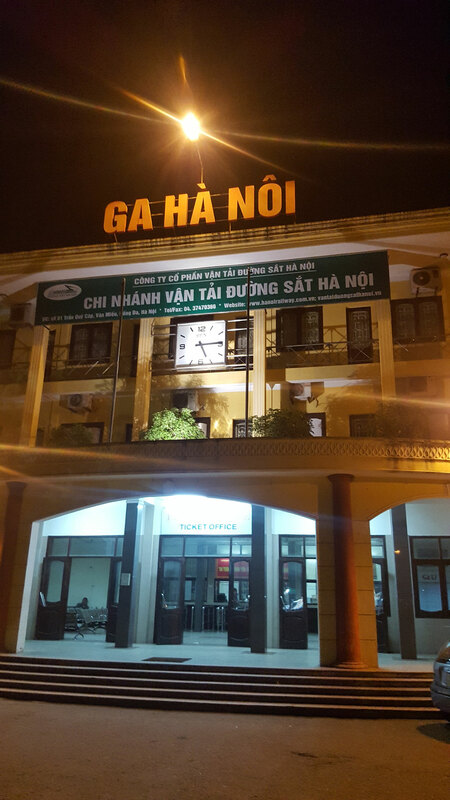 There is a train from Hanoi to Haiphong. From Haiphong there is a ferry to Cat Ba. The train will carry your bike in a separate wagon. Go with your bike at least half an hour before the train leaves to terminal B which is at the back of the station (see coordinates and picture below). There you will get the ticket for your bike and they will tell you where to go and where to put the bike. You may also see other people going with their motorbikes to put them in the luggage-wagon as well. They hand you out some receipt for your bike. From Haiphong you can go by bike to the next Island Cat Hai. Therefore you have to ride east when arrived in Haiphong. Then there is a long bridge to Cat Hai, where is a ferry to Cat Ba which should cost 6000 VND. The ferry Dunh Vu doesn't exists anymore as the bridge is now there. On Cat Ba Island it's about 25km to Cat Ba City. 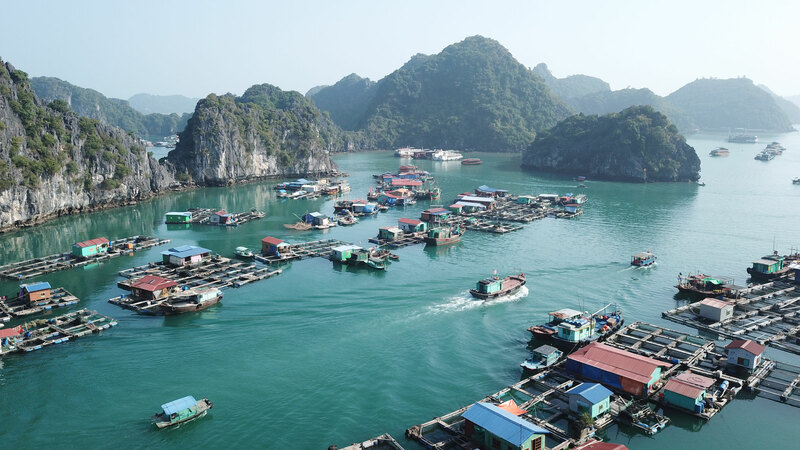 Take the ferry from Haiphong to Cat Ba City directly. This the most easy option. The ferry runs near the train station and takes about 3 hours. It costs 150.000 VND per person and another 150.000 VND for the bike. 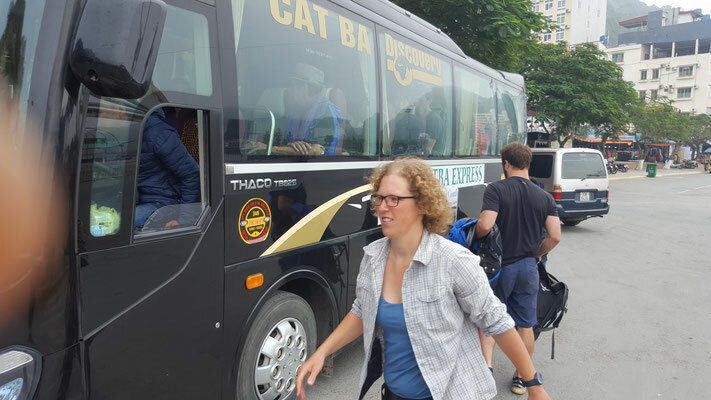 You can get a bus from Cat Ba City to Hanoi. We used cazbaexpress. Just contact them via Facebook and tell them that you have a (non foldable) bicycle. Maybe it's a good idea to send them some pictures of your loaded bike and probably another picture of your bike in a bus (so they see what exactly do you want). You can use our picture here, so they see that it is possible in their own busses. They run two kind of busses and for a bike they need to use their bigger one. They charged us 16 USD for one person including the bike. Normal price is 11 USD. You may also go to the Seaview Hotel, there is some kind of "office", but they probably won't speak that good english. Be prepared to get in stressy situations as they are always in a "hurry up"-mode. You need to unload your bike and luggage two times as the bus only goes to the coast, then a ferry brings all the passengers to the other side where another bus is waiting. 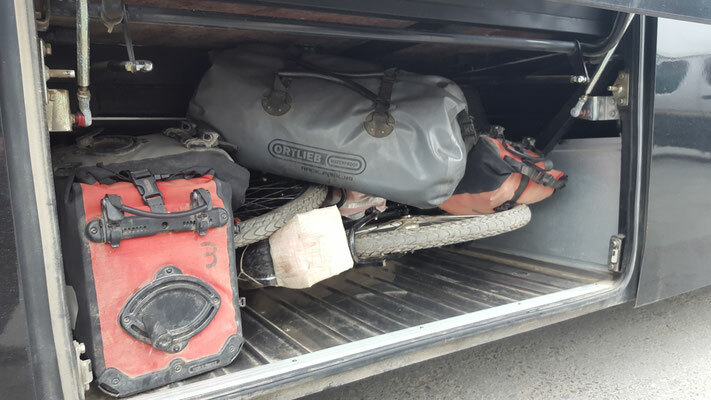 The best method is to unload the bike, put all your panniers on and push it to the ferry and lift it out on the other side as the second bus is some meters away and other passengers will already wait for the ferry to go the opposite direction. And as usual, they are not very patient. Then the second bus goes to Hanoi and you can ask the bus-guide /steward to get out of the bus at a place you want. If possible prepare your bike by disassemble the pedals and turning the handlebar. Fix the front wheel to the frame with a cable tie or line. Some taped on plastic bottles may also be a good idea to protect your baby.